After several meetings that have gone well with studio executives, it appears we’re getting close to seeing Dwayne Johnson make his debut in the DC universe as the anti-hero Black Adam. 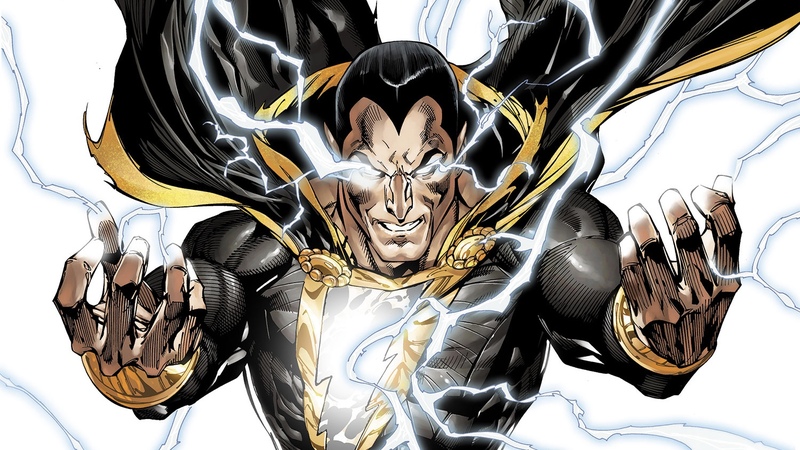 Deadline is reporting that not only will the Shazam character get his own film, but so will his archenemy, Black Adam. Nothing much else is known leaving many more questions than answers. Nevertheless, it’s welcoming to see these projects involving Johnson getting closer to happening. Before you begin to criticize Warner Bros.’ announcement of a Black Adam standalone movie taking place somewhere in the current DC timeline, let’s remember that Dwayne Johnson was always going to get his own DC movie. This was to be expected ever since the box-office superstar announced that he was playing the Black Adam character. What I find ambitious is that Warner Bros., who were initially moving forward with just a Shazam! movie, now seems to have enough of a great story to make two films. As I stated above, there are many more questions than answers. Who is directing these movies? Which film will Black Adam make his debut? Who will be cast as Shazam, a character with god-like powers who comes to life (via transformation) when teenager Billy Batson yells the word “SHAZAM!” (it’s cooler than it sounds)? Dwayne Johnson tells us to stay tuned as more big announcements are coming. It’s safe to say you have our attention Mr. Johnson.